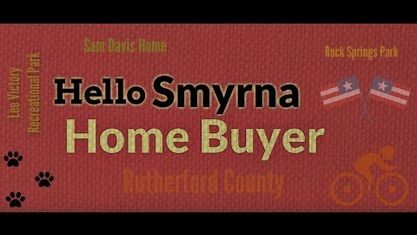 Located off Old Nashville Highway, the McGwynn Springs Subdivision is a single-family home development in Smyrna TN (Rutherford County). Popular streets in McGwynn Springs Subdivision include Clearspring Court, Irish Place, Lillian Court, Noel Lane, Tate Court and Vernon Traylor Drive. Other Smyrna Subdivisions near McGwynn Springs Subdivision include Cedar Forest Subdivision, Crosslin Homes Subdivision, Hartwood Subdivision, Hickory Trace Subdivision, Highland Park Subdivision, Hunters Point Subdivision, Jesse James Smith Subdivision, Mason Tucker Subdivision, McGwynn Springs Subdivision, Sand Stone Forest Subdivision, St Johns Wood Subdivision, Valley Of The Spring Subdivision, West Meade Subdivision and Woodmont Subdivision. View our selection of available properties in the McGwynn Springs Subdivision area. Get to know McGwynn Springs Subdivision better with our featured images and videos.